Pocket knife? Check. Smartphone? Check. Pen? Check. Flashlight? Check. Prybaby? Check. Scissors…..? Screwdriver…..? Tweezers….? Toothpick….? Nailfile…? Anyone? I love my EDC tools and toys, but I was once caught short with no tweezers and scissors. This was very embarassing, as I was among friends who consider me the ‘gadget man’ and one of them had a simple SAK with just these tools. 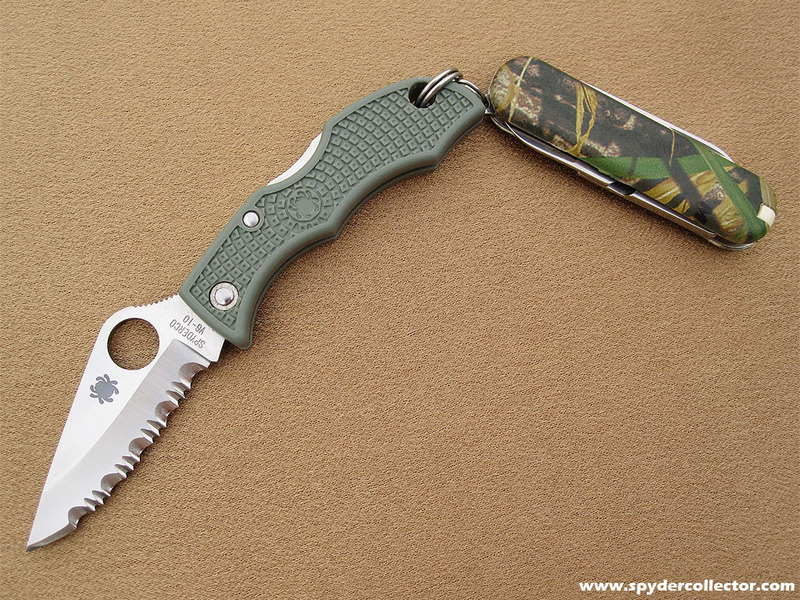 Since then, I’ve found the perfect ‘watch pocket filler’, a Victorinox Classic SD combined with a Spyderco Ladybug 3. This little combo-tool is a perfect accessory for a ‘gearhead’ like myself. It’s got all the tools I sometimes need; scissors, screwdriver, file, tweezers and toothpick. The little blade is rarely used, only when there’s a very apprehensive NKP around. A nice feature is that the little SAK is available in all sorts of colors to match my Spydie EDC. The little SAK is just right for that little extra handle, when using the Ladybug. 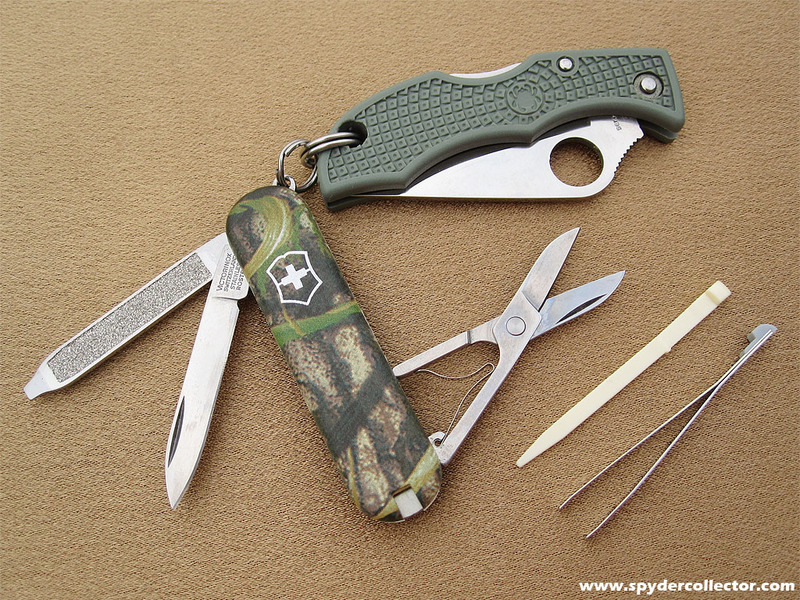 The Ladybg III BTW is the best keychain knife yet. I’d didn’t think it would be better than the Jester, but that sharp tip is incredibly useful. When hooked on the Victorinox Classic SD, I get a perfect grip on the little Ladybug. I prefer the Ladybug’s VG-10 (!) blade with full teeth. It really maximizes the cutting potential of this little blade. Just slip it under a heavy plastic binder and ‘snick’ it’s cut in two. For me, the Victorinox Classic SD and a Ladybug III SE is the perfect ‘Micro Combo Tool’. I carry it seperately from my keys in my watch pocket. It’s a perfect fit. On my keys I just keep an Atwoord Prybaby and a Fenix L0D HA Rebel light. That way, I don’t run the risk of forgetting to unhook the keychain knife when going through security checkpoints and airports and such. This entry was posted on Wednesday, July 4th, 2007 at 8:43 pm and is filed under Carry Folders. You can follow any responses to this entry through the RSS 2.0 feed. You can leave a response, or trackback from your own site. This is an excellent idea! I have added this clever (and) little combo to me edc and it has been very useful! My girlfriend has just so happened to need a nail file several times since then. Now she wants a Classic SD + Ladybug 😀 Love the pictures! My bad actually, that’s not techinically a Ladybug but a Jester. The Ladybug 1 evolved into the Jester which in turn evolved into the Ladybug 3. I see, thank you so much for your reply, I need on of those 🙂 It is a lovely collection that you have! I would like to thank you for this excellent idea. I carry a Ladubug attached to a Minichamp every day. I have the Minichamp’s leather pouch hanging from my car’s keys but I also can carry the pair in my watch pocket. 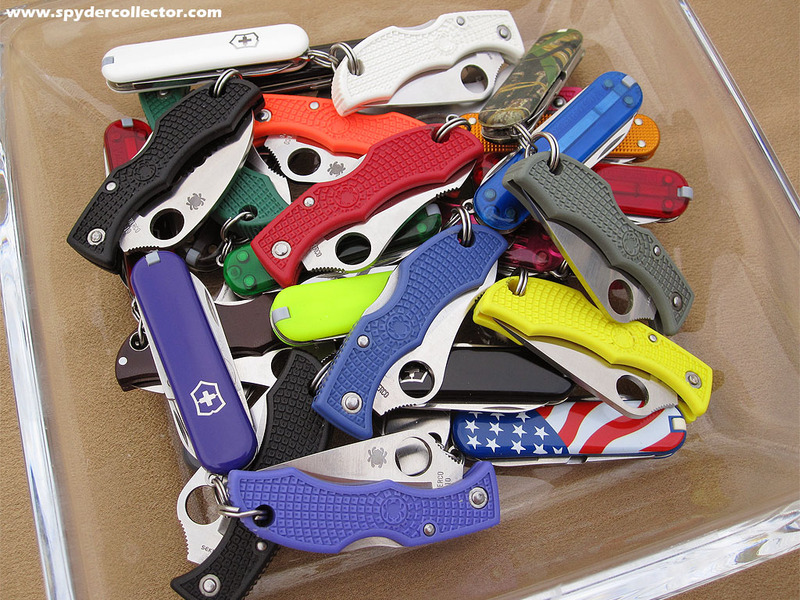 I like Spydercos, although I just have 2, the Ladybug and an Endura 4 FFG. 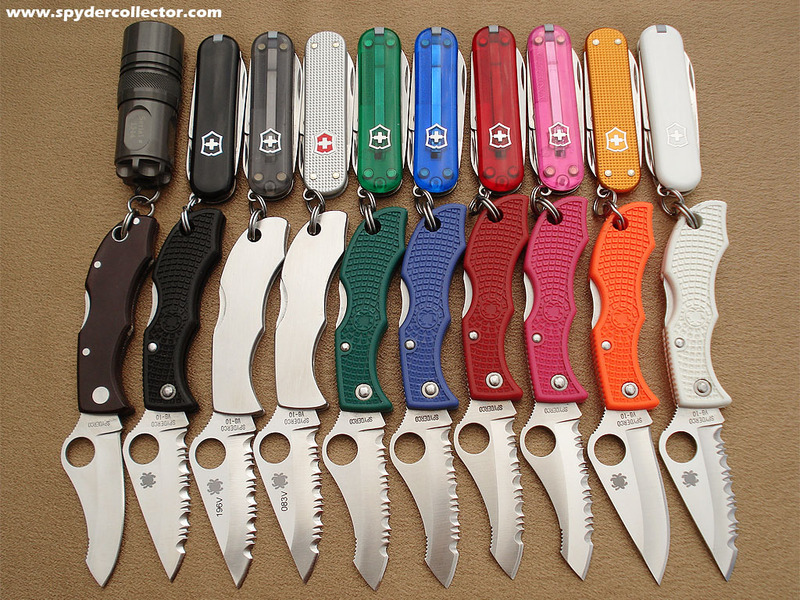 I like their shape, Spyderhole, VG-10 steel, Seki Japan made, non threatening colors and FRN handles.